‘The world is your oyster’ they say, but travelling to the furthest corners of the globe isn’t always easy. Even meticulously-planned travels can be put on hold due to delays or long stopovers; sleeping on a chilly cold airport floor definitely isn’t our idea of a holiday, but in reality it does sometimes happen! So whether you’re off to Australia, Peru, Cambodia or the USA, here’s our handy guide on what to pack into your hand luggage – on top of your phone charger, paperwork and toiletries – just in case disaster strikes. 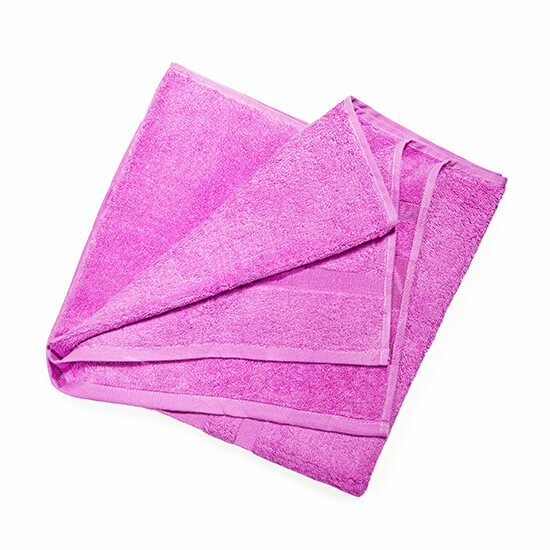 To most, the towel has one practical use: drying off… But if you’re stuck somewhere for an indefinite amount of time, a towel can become your best friend. Have a wash with the toiletries you’ve already packed and, if you feel like it, wash your hair too; I usually do. It’s amazing how good a wash can make you feel when travelling. And that’s not all a towel can be used for if you’re a savvy traveller. If you’re in for the long haul and you need to lay on the floor roll up your towel into a tube and put it under your head: you’ve got a makeshift pillow. Or, if travelling to chillier climes, take a slightly bigger towel and you’ve got a ready-made blanket. Even if you’re lucky enough to find Wi-Fi, there is only so much time you can kill scrolling through your Facebook feed. Not just that, we’ve all had that moment where we’ve wandered around an airport, feverishly looking for plug sockets to charge our phones, only to be greeted with some smug traveller’s phone with its enviable 87% battery. So for airport entertainment, a pack of cards is key. There are literally hundreds of card games you can play. Our favourite is paskahousu (although we know it by another name that’s too rude to print). The object of the game is to lose all your cards. The last player left with a hand loses and must deal the next game. If you want you can include little forfeits, decided before the game starts, such as fetching everyone snacks and drinks. 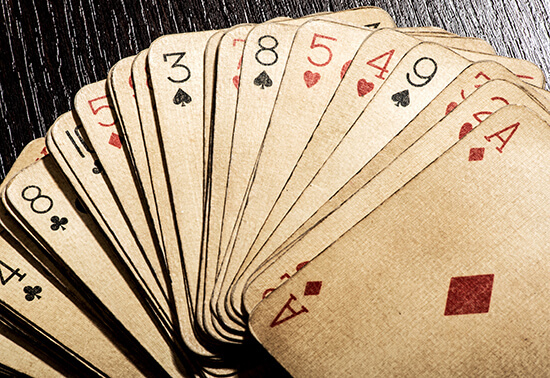 You could also try popular games like snap, rummy and go fish. 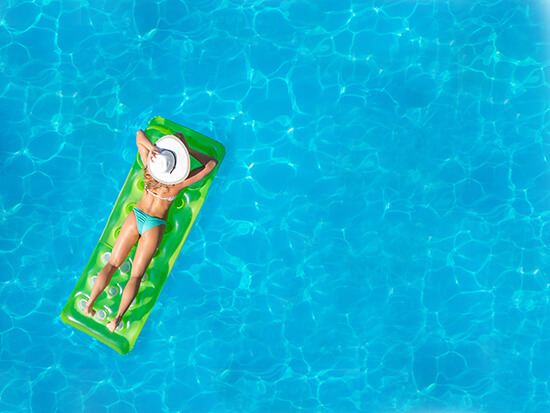 When you think of a lilo it’s likely you’ll conjure up images of floating peacefully on the pool water, basking in the sunlight and its warmth as your cares drift away… Yet on a long-haul flight an inflatable mattress can give you a different kind of rest. If your travels take you a day or more you might need a little lie down – that’s where your lilo comes in. Find a quiet corner in the airport, inflate it, and curl up for a snooze. If you’ve packed a towel you’ve got a ready-made bed. It’ll be the best £6ish you will spend for long-haul travel and it saves buying one when you reach your destination. Give yourself enough time to deflate it before your flight and it’ll slip perfectly back into your hand luggage. If you’re a fan of a good brew then this one is definitely for you. 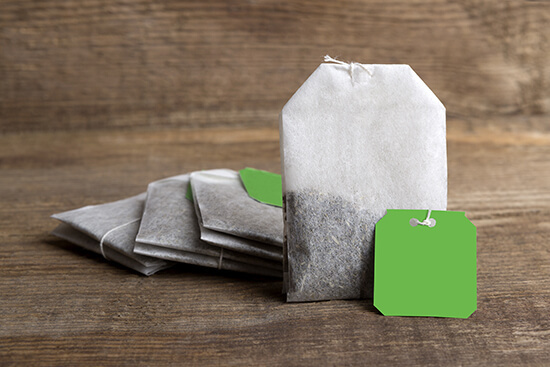 Pack about five teabags in your hand luggage. Buy yourself a cuppa from one of the chain coffee houses (as most will top up your hot water for free), sit down and enjoy. When you want a fresh cup, pop your teabag in and get some more water. This can last for hours. Hence forth the never-ending teabag. So there you have it: a few of our long-haul hand luggage essentials tried and tested by yours truly. Wherever you’re jetting off to this year, pack these little life savers and be the envy of the airport. Need advice on your next trip? Speak to one of our Travel Experts today for more handy tips like these, and to book your dream tailor-made holiday. Diane Jessie Miller is a successful scriptwriter based out of Northern Ireland. She moved to the foot of the Mourne Mountains for their beauty and inspiration – it is CS Lewis’s Narnia after all. Diane loves to experience new cultures from around the globe and many of the places she has visited have seeped into her work. From Paris to Prague, from Greece to Florida, Diane’s ethos is to experience it all.